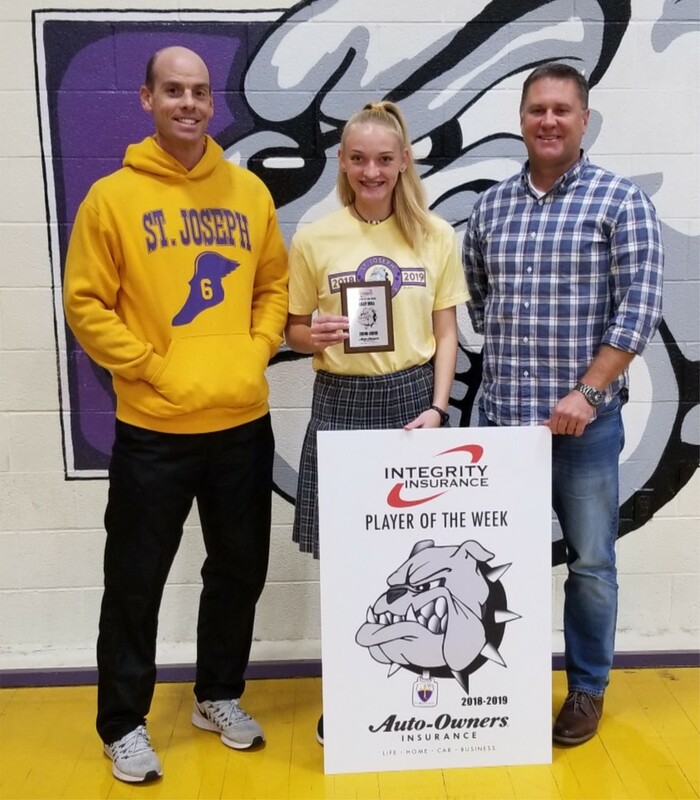 Sophomore Lilly Hill is the most recent selection as St. Joseph's "Player of the Week" as determined by Integrity Insurance. Lilly is currently running Cross Country and set a school record for the 5K run at the Conway Invitational with a time of 22:07. She also came in 7th with a time of 22:30 during the Quitman Ranch Run. Lilly also plays basketball and soccer.